National's experience in the fast fit industry stretches back over 30 years and today we have over 225 branches throughout the UK. As the UK's largest independent fast fit company you can be assured that our buying power benefits you. We only sell parts produced by the world's leading manufacturers and with our range of comprehensive guarantees and fully trained staff, National is the only place to visit when you need help and advice. We also offer an accidental impact damage guarantee for £5 for 13 and 14 inch wheels and £7.50 for 15 inch and above. This guarantee covers all passenger tyres in any speed rating sustaining accidental damage to the tread or sidewall during the legal lifetime of the tyre. Run-flat tyres are not be covered by this guarantee. Batteries are sold with a free of charge replacement guarantee against faults or defects for a fixed period from the date of original purchase. This can vary depending on the type of battery. The guarantee period for your battery is printed on the cash sales invoice. All exhausts including short and full systems and single parts come with three years unlimited mileage guarantee. Catalytic converters are also covered by a two year guarantee. Brake pads, shoes, discs, drums and cylinders have a 12,000 mile or one year guarantee (whichever is sooner). Ball-joints, steering racks, track rods are all covered by a 12,000 mile or one year guarantee (whichever is sooner). Vehicle tracking adjustment cannot be covered by National guarantees as it is affected by road conditions and driving style. However, should you have reason to believe that further adjustment is required, we will check and re-adjust (if necessary) free of charge within 30 days of purchase. We offer a lifetime unlimited mileage guarantee on shock absorbers. All other mechanical parts fitted by National come with a 12,000 mile or one year guarantee (whichever is sooner). PLEASE NOTE: GUARANTEES ARE NOT TRANSFERABLE AND APPLY TO THE ORIGINAL PURCHASER ONLY. YOUR INVOICE/RECEIPT MUST BE PRESENTED FOR ALL WARRANTY CLAIMS. We're so confident in the quality of our tyres that we're prepared to offer a Tyre Guarantee against accidental impact damage. At just £5.00 for 13 and 14 inch wheels and £7.50 for 15 inch and upwards, our tyre guarantees provide you with complete peace of mind should the unexpected happen. To order your Tyre Guarantee, simply add the quantity in your shopping basket when you place your tyre order. 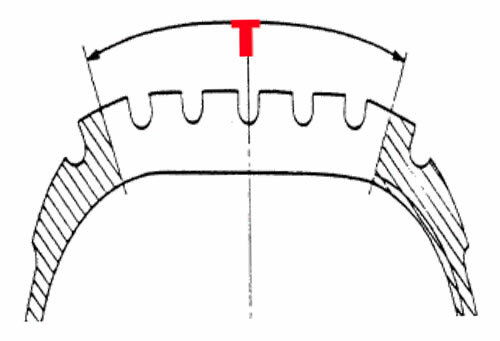 If your car tyre sustains accidental damage to the tread or sidewall during the legal lifetime of the tyre, ie up to 1.6mm remaining tread depth, which cannot be repaired by National to British Standard BSAU/159, the tyre will be replaced with a new tyre at the prevailing price minus an allowance based on the tread depth remaining on the damaged tyre. Any tyre replaced under this guarantee will be re-valved and re-balanced free of charge. Any punctures sustained during this period will be repaired to British Standard BSAU/159 free of charge. A new tubeless valve will be fitted if necessary and the wheel will be re-balanced as required at no cost to you. Punctures which are not repairable will be given a discount on a new tyre based on the allowance table above. The original cash sales invoice from National Tyres and Autocare will be required as proof of purchase before any guarantee work can be carried out and guarantee applies to price of tyre(s) on day of purchase. Any car tyre under Guarantee must be fitted with a new tubeless valve (where applicable) and the wheel/tyre assembly must be balanced at the time of purchase. The Tyre Guarantee can only be purchased on tyres which are fitted to a vehicle. 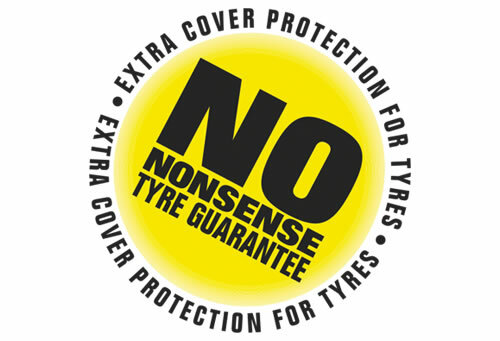 At our discretion, tyres which we deem to be damaged by criminal or malicious action, vandalism, improper use, fire, theft, use in competitive sport, road accidents, repair by another garage, mechanical defect of the vehicle, driving on incorrect pressure or a deflated or punctured tyre are specifically excluded from cover under this Guarantee. Your Tyre Guarantee applies from the date of your purchase, is not transferable to other vehicles or persons and is valid for the life of the tyre for which it was purchased. The Tyre Guarantee is available to private motorists only. Taxis, motorcycles, vans, private hire vehicles, driving school vehicles, company owned cars, cars used for business or commercial purposes are excluded. The Tyre Guarantee applies to all passenger tyres in any speed rating. Run-flat tyres cannot be covered by this guarantee. The Guarantee includes re-valving free of charge with standard valves only; sensor valves fitted as part of a TPMS are not included. Replacement tyres supplied under the Guarantee will not be guaranteed from the date of original purchase. A new Guarantee can be purchased by the customer for the replacement tyres. We will make every possible effort to locate an exact replacement, however if that is not possible, i.e. the tyre is obsolete, has been superseded or is out of stock, we reserve the right to offer an alternative. Puncture repairs to British Standard BSAU/159 can only be undertaken in the repairable tread area of the tyre. (Repairable area marked with a red T). Puncture repairs must be completed at a branch of National Tyres and Autocare. The Guarantee is invalid if the tyre is removed or repaired by any other company or individual. Your statutory rights are not affected by the terms of this Guarantee.